WHO'S THAT CHAIR IN THE TRS? 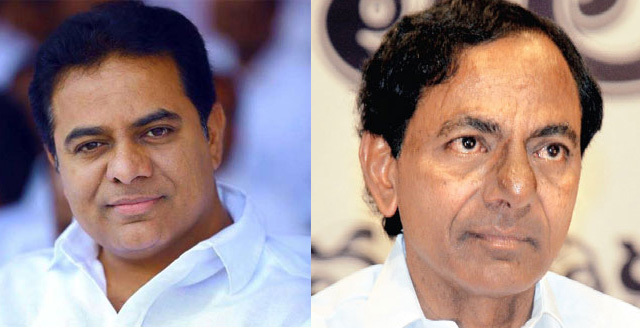 Who's that chair in the TRS working president post?Why has KCR turned to national politics from state politics in the mean time?What kind of decision will the pink binery be made in the forthcoming party plenary?It became an interesting topic in the party circles.The origin of the Telangana Rashtra Samithi has been in the hands of KCR as Party President till today.After the Chief Minister's resignation, he was concentrating on the entire government. In this context, he is not aware of the party activities in the background.Party committees have been delayed a bit late.Some seniors want to be in the TRS for a long time to be a working president to monitor party affairs.They advocate the appointment of a person who is capable of coordinating between the Participate and the Government.Meanwhile, a new debate has begun in the latest TRS.Some people say that the party working president post give to minister KTR. Many believe that he can act as a bridge between KCR and other party leaders.That is why the minister is putting pressure on the sitting president to sit on the pedestal.This talk has been going on for a long time ...This opinion is strongly expressed in party lines over the past two years.In 2016, it was announced that in the party plenary of 2017, KTR would be declared a presidential candidate.But that campaign did not work.